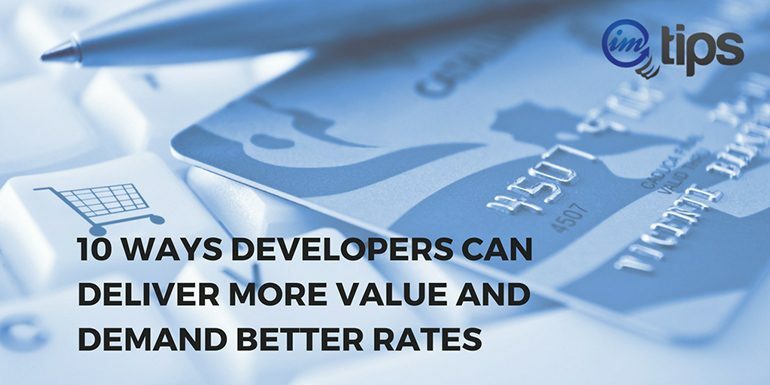 In the long run, quality and value always prevail and developers who deliver high value can always demand better rates. A developer who preserves the quality in crunch times gets far than those who like to take shortcuts. There are very few developers who work as a freelancer who actually take the time to read the complete requirements of clients. If you make a habit of reading the complete requirements of clients, you will be better than the 90% of the developers who are doing freelancing. Take a step beyond reading and try to understand what client needs? Even when I reject an invite from a potential client, I make sure I have read and understood what is needed and make sure rejection notes are helpful. When I am refusing the work aim is not to work for the client but that should not stop me from being helpful to a client who took the time to invite me. Take your clients requirements and provide them not only a solution but offer them suggestions that can help them grow their business. You will be paid better rates in the long run if clients’ business flourishes from your suggestions. If you are not open to suggestions, you will never be able to experiment and offer suggestions to your clients. Be flexible and open to experimentation. It is not always about earning better rates, some projects can help you experiment new technologies and paid for experimentation. I had few clients who helped me eradicate some of the paid software that otherwise I would have paid for and experimented with. Once you pay for it, it becomes tough for you to eradicate as easily as you can when working for clients. It took me long time to eradicate vBulletin and move over to xenForo. So those clients pay less but it helps me become better at knowing what I should be avoiding. The proposal is the first and possibly the last impression of you to clients and freelancers who cannot write rock solid proposals can do very little progress in the freelancing world. It is as a sample as that. The proposal is the gateway to your freelancing career and so make sure you craft your proposal such that you provide the right impression about what you do, how you do but more importantly how you can be of asset to the client and not a liability. Everybody likes to keep increasing the assets and trash away with liabilities as soon as possible. Try to be an asset to your clients with your expertise. If you set a very high expectation, you can have a tough time meeting them. You aren’t delivering a pizza where you only have 30 minutes to deliver. Ask for what time will be needed for you to deliver the project maintaining the quality. Don’t take up too little time to set a very high expectation and don’t take too much time that client can’t provide. Strike the right balance between both. 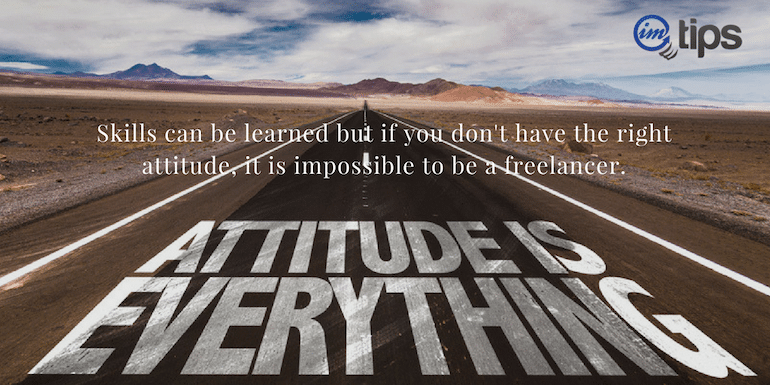 Clients always have the dilemma if a freelancer has started working and what’s the progress for the project. Provide a quick turnaround time with updates as the project moves along to get valuable inputs from clients to help you understand requirements better and fix bugs early. My preferred channel of communication is Skype but some clients do not prefer using Skype and are used to hangouts. Some clients are used to using Trello, other prefers Asana for managing the project and some prefer doing things on Slack. Use the communication channel that suits the client. You are the tech guy who can always adapt to the new platform than asking your clients to make a move to your preferred choice of communication. Developers like to keep codes on their server until some part of the payment is released. If you need to be playing such tricks, opt for Upwork’s escrow service instead to get paid. If you can’t trust client with your deliverables, it is always good to be going a path that can build trust instead of trying to play those dirty tricks. Freelancer is at risk of not getting paid but if you keep a higher level of trust, you will always be fine. Instead of trying to make money from clients, build trust and money will eventually flow in. Some of my direct clients who don’t prefer an upfront payment, I refer them through Upwork to build trust. Eventually, they pay me well in advance and at times even before we begin the process of understanding the requirements. You know what more you can be delivered, you can add few of those extra to your proposal but you don’t need to add all and keep few things that can WOW your clients once they are delivered. Extra features, extra options or anything that can beat clients expectations. The project is complete and hopefully, things have gone beyond client’s expectations but this is not where everything stops. Once everything is done, you can follow up a client to ask for feedback or if you are working on freelancing site like Upwork, they may have already done that part for you, ask a client if you can be of help to anything that they want to be fixed or sorted. Don’t always rely on clients asking you to get things done. You can also offer them retainers options for you to keep maintaining and upgrading the software you just delivered. You can offer other products or services that can help clients with their business. Additional products or services can help you increase your income without raising rates for clients. If you don’t have related products or services to offer, discuss with existing clients what other products or services they use. Apply to be an affiliate to those products and offer them to your other clients and grab a commission for referring those products.